MOSCOW (Sputnik), Tommy Yang - A top US pork producer, wholly owned by a company based in central China’s Henan province, could become the latest victim of collateral damage amid escalating trade tensions between the two countries, experts told Sputnik. On Sunday, China’s State Council, or cabinet, announced its decision to introduce new tariffs of up to 25 percent on 128 types of products from the United States, in response to new US tariffs on steel and aluminium imports. The new Chinese tariffs took effect on Monday. 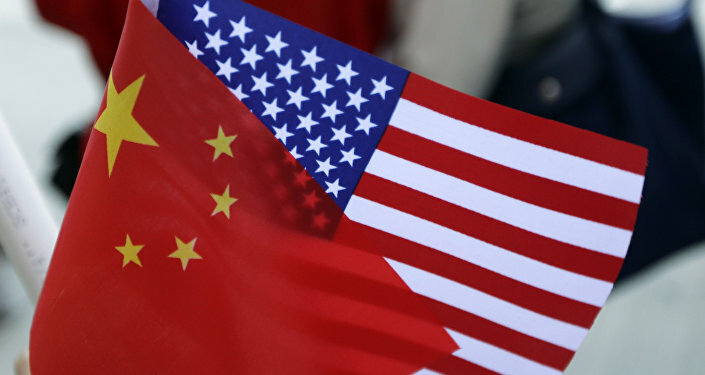 The latest response from Beijing came after US President Donald Trump vowed to target $50-60 billion of Chinese exports to the United States with additional tariffs to address the massive US trade deficit with China, which reached a record high of $375 billion in 2017. With rising trade tensions between the two nations, companies in a wide-range of industries affected by increased tariffs could face growing pressure on their profits. Eight out of the 128 types of US products targeted by the new Chinese tariffs were slapped with a 25-percent duty. Among the eight types of products, seven were pork-related. As Chinese investments in the United States continued to grow, any new tariffs on a certain industry could hurt business interests in both countries. US pork producer Smithfield Foods, which is owned by Henan-based WH Group — formerly known as Shuanghui International — could become the latest victim in the trade war between Beijing and Washington, industry experts suggested. "Smithfield Foods sells processed pork products, which are well-packaged with higher added-value, in major supermarkets and online retailers in China. Despite such products carry a higher pricing flexibility, the new tariffs would be a huge blow to its profit margins. Shuanghui imports frozen pork from the United States and turn them into processed pork products at its factory in Zhengzhou, which are then sold under the Smithfield brand. The new tariffs raised Shuanghui’s procurement cost by 25 percent, which also means cutting its profit margin by 25 percent," Feng Yonghui, chief analyst at pork industry consultancy Soozhu, told Sputnik. As China’s largest meat processor, Shuanghui International acquired Smithfield Foods, the world’s largest pork processor and hog producer, in 2013 for $4.7 billion. Following the acquisition, the company renamed itself to WH Group in 2014 to reflect "its emerging global reach and aspirations as a world-leading brand," according to a company statement. In addition to Smithfield Foods, the WH Group also owns Henan Shuanghui Investment and Development Co., Ltd. in China. According to the company’s annual earnings report, WH Group posted an operating profit of $1.86 billion in 2017, up 4.1 percent from the previous year. WH Group did not respond to a request for comments on the impact of the latest Chinese tariffs on US pork products. Feng explained that current market conditions in China left little profit for importing US pork with the new tariffs. "The wholesale pork price in China today is about $1.65 per kilogram [2.2 pounds], while the US wholesale pork price stands at around $0.95 per kilogram. The price difference is about 70 percent. If US pork is exported to China, we need to add about 30 percent of cost for shipping and traders’ fees. If you add another 25 percent of tariffs, that would squeeze the profit margin really hard and make US pork non-profitable when reaching the Chinese market," he said. The industry expert added that other pork exporters, including Russia, could benefit from the increased Chinese tariffs on US pork products. "It [the new tariffs] would make US pork not competitive at all compared to pork from European countries, as China already imports about 2/3 of pork products from Europe. It would be a huge blow to the US pork exports to China, which could be turn out to be an opportunity for other countries including Russia," Feng said. Thanks to pork’s dominance in Chinese cuisine, China has become the world’s largest pork producer and consumer, accounting for about 50 percent of total global pork consumption. Rapid economic growth in recent years drove pork consumption in China to new heights, as more and more Chinese consumers could afford more meat, including pork, in their diet. As domestic pork supply struggled to meet the increasing demand from consumers, China started to rely on pork imports to fill the gap. Domestic pork supply deficiency pushed retail prices for pork to a record-shattering $5.25 per kilogram in China in the first half of 2016. High prices also contributed to increased demand for pork imports. The country imported a record high of 1.62 million tonnes of pork in 2016, up 108.4 percent from the previous year, at a value of $3.19 billion. However, industry experts have pointed out that record high prices for pork in 2016 triggered excessive pork production capacity building in China, which caused the prices to fall and remain at relatively low levels. "After pork prices peaked in 2016, many pig Chinese farms, operated by both individuals and companies, started massive expansions to take a larger stake in the market. Following additional production expansion in 2017, we started to see the early expanded production capacity coming online this year," Ji Guangxin, a pork industry analyst at Shandong-based consulting firm SCI99, told Sputnik. Retail pork prices in China stood at $3.02 per kilogram in early April, about 42.5 percent lower than the peak in 2016. Ji pointed out that changes in meat consumption habits in China also contributed to the sluggish performance of pork prices. "From the demand side, pork consumption did not grow as fast as it used to be in recent years, as more consumers decided to choose lamb, beef or seafood as alternatives [in their diet]. Chinese consumers also started to pay more attention to a healthier diet, which does not require a lot of meat," he said. The Shandong-based analyst said he expected China’s pork imports to continue dropping in 2018. "In terms of prices, imported pork does not have any obvious advantage today. In 2016, when domestic pork prices reached record highs, imported pork is even cheaper even than live pigs in China, after completing all necessary import procedures. In 2018, we expect pork prices in China to continue to decline compared to 2017. We also expect China’s pork imports continue to fall this year," Ji said. According to official figures from the Chinese Customs, China’s pork imports fell to 1.22 million tonnes in 2017, down 24.9 percent from the previous year. Ji concluded by saying that he believed the new tariffs on US pork would have little impact on the overall market conditions for pork products in China.